I love stories. I can’t remember how old I was when I finally started to read “real books” on my own (readers with big type weren’t “real” books), but once I started, I couldn’t stop. One summer, my mom got so tired of telling me to stop reading and go play with my brothers and sisters, that she made a rule: I could read only one book a day. I was devastated until I decided that I would live according to the spirit (not the letter) of the rule: I would read only two books a day. I’m sure some bibliophiles will understand that this compromise was still a big sacrifice for me. But my love for stories is not the only reason I chose to look at discernment through the lens of storytelling. Storytelling is a helpful framework for exploring discernment because we often see patterns in our lives as stories. We seek to give meaning to the events in our lives by looking at them as part of a larger story. While it’s possible to see our days and weeks as if they are made up of discrete, disconnected events, when we step back to look over our lives, we group different events together, giving them a context or a framework that connects them to a larger purpose or meaning: the story of our lives. When I first started studying theology, I was impressed that my teachers would repeatedly talk about the centuries of biblical times as salvation history. With eyes of faith, the history of the world—the World’s Story—must also be salvation history, and I think we will recognize in heaven that all of earth’s history is one big revelation of God’s saving love for all humanity. And all of our unique and individual stories will fit within the overarching Story of God’s saving love. Do I intuitively look at my life as a story? How do I see events in my daily life? As random, fragmented, disconnected events? Or as a series of events that are leading towards something? Why? Believe me, from where I now am in my life, I can look back and reflect on the occasions and happenings that helped to bring me to where I now am. It also makes me more aware of the importance of people and things in the here and now….knowing they are all part of the fabric of my life. It’s not difficult to see God’s hand in my life and I am eternally grateful! God bless! 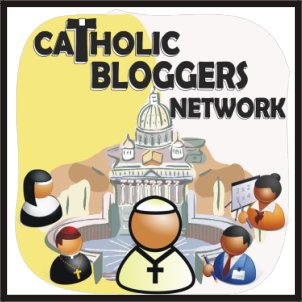 Sister Marie, I am thoroughly enjoying your blog and add my prayers to yours.